Inspired by Shanty 2 Chic? Us too! 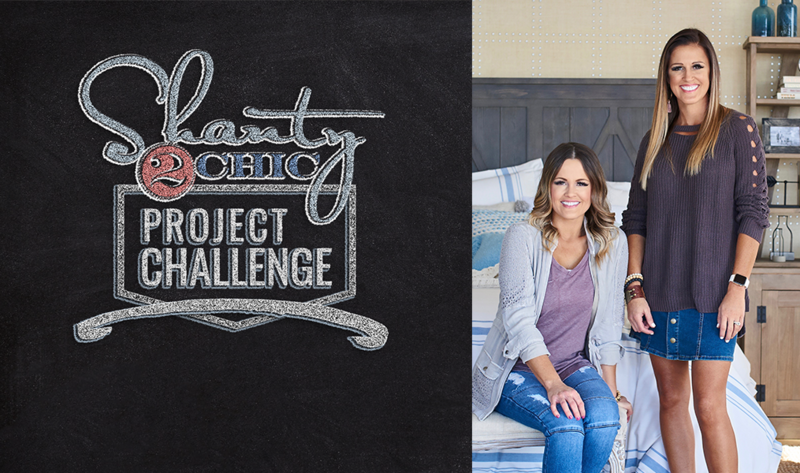 Build your favorite Shanty 2 Chic designs, and upload your projects on RYOBI Nation for a chance to win! Each month, one winner will receive $500 in RYOBI Power Tools! View Rules. Holy man that looks amazing! Looks way better than what Shanty 2 chic made! Sick table! Love that black stain, impressive that you actually used wood biscuits. Too often I see people skimping out on that. We are huge fans of those wheels! Such a cool addition! We agree! Those wheels are a nice touch! Beautiful job! We love this design that disguises those laundry baskets! Love this, just wish I had an empty wall where this could work! May have to move second refrigerator out of laundry room! Congratulations! Getting new tools is the best! Love this and might just have to build one for our house now. This is EXACTLY the shoe solution I was looking for. Do you have any photos of how you designed the inside? Is it shelves? Or "slots"? Thank you so much for sharing this! Brilliant! What a neat corner! Beautifully done! Wow wow wow I would love this in my home !!! I need this someday! our closet of shoes is a mess! Clever way to hide your shoes! That. Is. Amazing! We know the Shanty 2 Chic sisters will be so impressed. What is your favorite piece? This set is great, something I was just telling my husband I wanted in our room. Thanks! You should check out the free plans they have on shanty-2- chic! So many options!